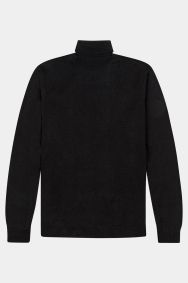 This jumper will see you looking smart for work with its fine knit and simple design. 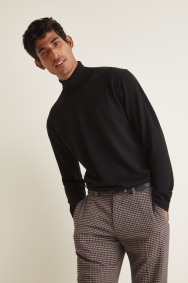 Wear it on cold days when comfort is your priority but you still need to look business-ready. 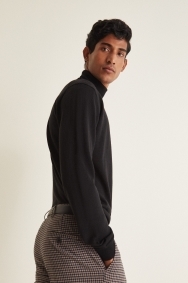 Plain black, it will go with lots of your trousers, making it a wardrobe staple. 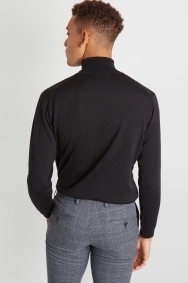 Reach for this jumper when you’re wearing any grey trousers and want something warmer than a shirt. Perfect fit and thankfully my size was in stock.